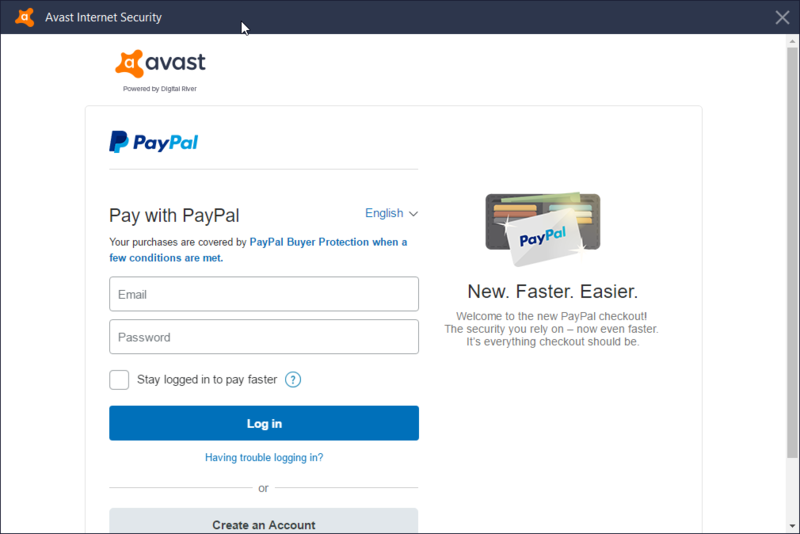 When trying to login to paypal, to renew the license trough the browser built in to avast(Chromium? ), I dont get the option to fill in. also, since that window blocks interaction on the main avast interface, I cant get to the password section manually, and even if I get there (trough the key icon in chrome), I cant interact with it. thanks for the report. You are right, at this point we don't support this. We want to make our internal chromium browser as minimal as possible and adding additional such functions (for this specific case only) is something we don't want to do, but we may consider it later.